CAROLINELEAVITTVILLE: What would you do if your long lost daughter comes back to you, then she's murdered, and your husband is suspect? 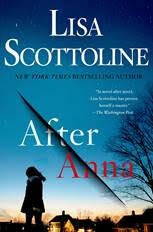 The magnificent Lisa Scottoline talks about AFTER ANNA, and her love affair with Peloton! What would you do if your long lost daughter comes back to you, then she's murdered, and your husband is suspect? The magnificent Lisa Scottoline talks about AFTER ANNA, and her love affair with Peloton! Okay, so what do we know about Lisa Scottoline?She's hilariously funny. Unbeatably generous. And someone I absolutely adore. 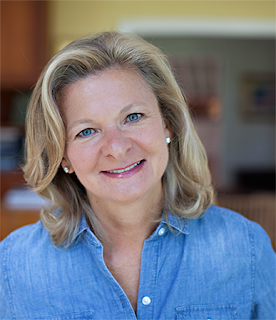 Plus, of course there's this: She is The New York Times bestselling author and Edgar award-winning author of 31 novels, including her latest work, AFTER ANNA, which Kirkus calls "a nail-biting thriller." And boy, is it ever. It's about a woman who reconnects with the daughter she gave up 17 years ago, only to have that daughter murdered--and her husband becomes the suspect. Lisa’s books are on all the major bestseller lists including The New York Times, USA Today, The Wall Street Journal, Publisher’s Weekly, Washington Post, and The Los Angeles Times, and LOOK AGAIN was named “One of the Best Novels of the Year” by The Washington Post, and one of the best books in the world as part of World Book Night 2013. Lisa’s the recipient of the Edgar Award, the Mystery Writer’s of America most prestigious honor, the Fun, Fearless, Fiction Award by Cosmopolitan Magazine, and named a PW Innovator by Publisher’s Weekly. Lisa was honored with AudioFile’s Earphones Award and named Voice of the Year for her recording of her non-fiction book, Why My Third Husband Will Be a Dog. Each follow up collection, including the most recent, Does This Beach Make Me Look Fat?, has garnered both Lisa and her daughter, Francesca, Earphones Awards as well. In addition, she has been honored with a Distinguished Author Award from Scranton University, and a “Paving the Way” award from the University of Pennsylvania, Women in Business. Also her last name rhymes with fettucini! (She told me that!) Lisa, so honored to host you again. My blog is your blog, always. And we have to go get pie and coffee! 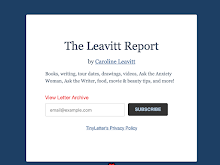 It was sparked by so many things, but first was probably my mental rehashing of my own life, a habit I'm hoping I'm not the only woman afflicted with. Frankly, I've never had the famously conventional nuclear family; I've been divorced twice, and in my second marriage, I also became the primary custodian of three adult stepchildren, so I know a fair amount about living life inside a blended family, and it's not always perfect. In fact, many times it's deeply flawed, so I like to approach family from an unconventional way, since that's what I lived, and though it's obvious that none of these characters are from my own life, and of course, Anna is not any of my stepdaughters, I really like to look at how families grow, change, or fall apart in unusual and unanticipated ways, like the long-lost daughter that does come into this family. And I like to look at the changes, stresses, and strains those things create, because in my life, it seems that you either get beyond those things and find a way to reconfigure your familial solar system - or you don't. In my case I didn't. So I wanted to look at that particular family prism, turn it this way and that, and try to figure out what would happen next. I'm also fascinated by the depth - and the limits to - a mother's love, because as a single mom, that’s something I've lived my whole life. And sometimes in blended families, well-meaning mothers end up overcompensating for their daughters or sons as a sacrifice to their marriage, and the converse is also true. Sometimes I feel like the dynamics of real families have a super-rich subtext that isn't often explored enough, like the various shifting bargains that the players make between each other, the unconscious siding and implicit loyalties that go on, the problems we create for ourselves, and how we survive them. It's so fascinating to me, and always will be. The greatest love can be found at the kitchen table, but also, something far darker. So much of this extraordinary novel is about the nature of love--love for a husband you thought you knew, love for a daughter you didn't know until now. Can you talk about this please? Arg, I should have read this question before I answered the last, because “the nature of love” is such a wonderful phrase and of course a brilliant writer like you thought of it! And what I really want to look at is how love exists in some incredible, inchoate, completely ethereal way, in the air, or somewhere inside your soul. You can love that person but never speak to them, or not even speak to them in 10 or 15 years. I have girlfriends who that's true of, and we'll not talk for a whole year and then we do, as the cliché goes, it's like we never stopped talking. But I also wanted to write about something deeper, like the estrangement that happens in families, because there is, in some ways, no greater test of love. Let's be real, estrangement in families does happen. Sadly, I have some experience with this myself, and that missing person does leave that-person-shaped hole in your heart. You never quite can reconcile in your mind or how you got estranged, and when people become adults, those gaps become even harder to bridge, not easier. And what comes with that is a certain amount of guilt, shame, and bewilderment, and it’s something I puzzle over a lot, so I thought I would explore that in AFTER ANNA. Can someone really be in the back of your mind for 10 years? For 20? Answer, yes. The greatest lesson for me was that you can't control other people, for good or for ill. And that's something these characters are going to learn, because that's something I have to learn, but I suspect this is the Groundhog Day of Life Lessons. You wake up and learn it every day! You would think I was such a deep person from these answers, but your questions are always so thoughtful and I know that you're such a great person and such an incredible writer, interested in many of the same issues I am, so I love speaking with you, even this way! Someday we’ll actually get together! And this is a long way of saying that what I’m obsessing over is so much dumber and more superficial than what I just wrote, it’s not even funny. And before I give you my dumb answer, let me explain why. Because I am writing two novels a year and one nonfiction collection of humor with my daughter Francesca Serritella, I am writing a lot of the time. And I feel like I have to stay in training for writing, like keep the blood flowing to my brain, because sometimes you get so sluggish and that can't be good. So one of the things I got myself a few years ago was a treadmill desk, and I was obsessed with that the last time we spoke, and this time I got myself a Peloton bicycle. Girl, you should have asked, “When are we going to have lunch?” Because that is MY next question and I KNOW we will make it happen! Thank you so much for talking with me, and stay well until then!